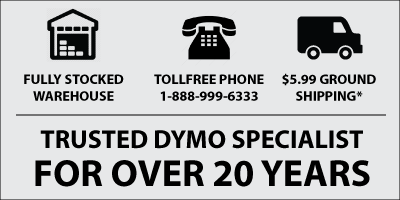 There are a number of different Dymo LabelWriter models. Some models only vary slightly from others, but there's 2 that vary considerably. This article aims to provide an overview of the various models and help you to figure out exactly which model will suit your needs best. The first characteristic to note is that all the LabelWriter models use exactly the same label system (LabelWriter labels) with one exception.... The LabelWriter DUO also uses Dymo's D1 label tape system. "LabelWriter labels" are primarily paper-based labels that are pre-cut to size, so you basically print the label, peel off the backing sheet and stick it on your item. The Dymo D1 is completely different. The D1 system uses a 'plastic' tape based label which comes in various widths (1/4", 3/8", 1/2", 3/4" and 1"). You create your label and it prints off in a strip. You press the 'cut' button on the printer and the label is then available for you to peel off the backing sheet and affix it to your item. Print-head width : the width of the print head determines the maximum size label the printer can print. One model has a much wider print head making it possible to print labels as big as 6" x 4"